Time’s Up for Type 2 Diabetes! Do you or a member of your family have type 2 diabetes? About 30 million Americans do. Do you know if you have type 2 diabetes? Over 7 million have it and don’t know it. Are you prediabetic? Around 84 million Americans are. And of those only 11 million know it. I usually don’t begin a blog post with statistics, but these numbers are scary. This is tragic because type 2 diabetes can be largely prevented and even reversed. Diabetes is a disease resulting from blood glucose or sugar levels that are too high (as measured by an A1C test). This condition occurs when your body fails to produce enough insulin (a hormone created by the pancreas) or does not utilize insulin properly. There are various types of diabetes. Type 1 diabetes is inherited and generally appears in children or young adults. It occurs when the body’s immune system prevents the pancreas from producing insulin. There is no cure, and afflicted persons must take insulin for their bodies to get glucose into their cells. Type 2 diabetes can occur at any age, but most often in adults over 18 years of age. 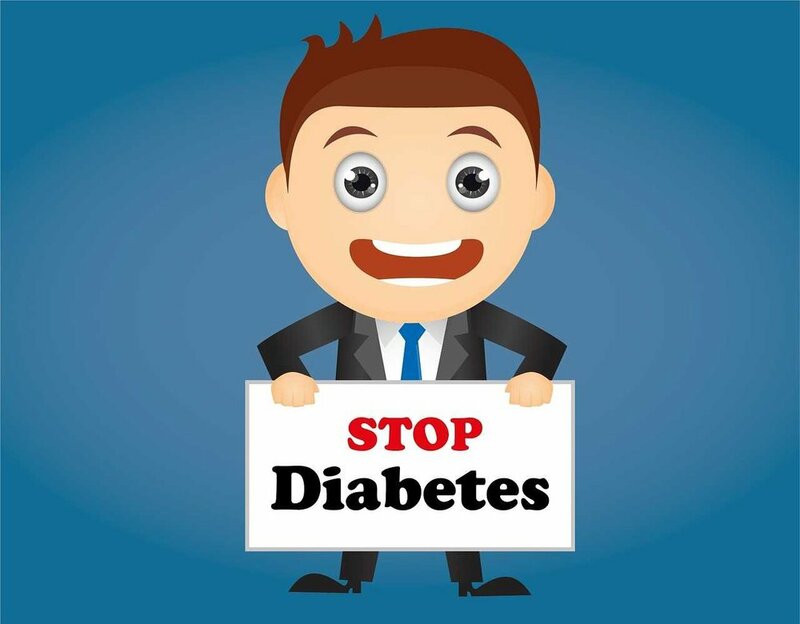 It is the most common form of diabetes and is associated with several risk factors such as smoking, overweight and obesity, physical inactivity, high blood pressure, high cholesterol, and high blood glucose. Although several genetic factors are involved, they are generally not considered determinative in managing the disease. Other types of diabetes include gestational diabetes (in pregnant women, usually just during pregnancy), monogenic diabetes (deriving from mutation of a single gene, often inherited), and cystic fibrosis-related diabetes. Without getting into the weeds of cell biology, remember that blood glucose levels are a symptom, not the cause of diabetes or prediabetes. When insulin fails to introduce more glucose into your body’s cells (because there is not enough insulin or because the cells resist incorporating more glucose), the glucose backs up into the blood stream where it can be detected. When blood glucose levels are detected as too high, your health care provider might prescribe metformin or some other medication to lower the blood glucose level. But that alone does not prevent excess glucose from damaging various organs in the body. In other words, the underlying problem remains unaddressed. Recent research seems to indicate that a different approach to understanding the cause of high blood glucose levels is needed. It now appears that the body’s insulin becomes less effective in causing cells to absorb glucose because the cells are already filled with sufficient glucose. Such a model also helps explain why the body actually increases the amount of fat created when cells have become insulin-resistant. The logical conclusion of this new approach is not that more insulin is needed or that the insulin resistance of cells must be overcome (with medication), but that the amount of glucose ingested should be reduced. When that is achieved, normal insulin metabolism can be restored and type 2 diabetes can be reversed. In other words, weight loss and increase in exercise can control, even reverse, type 2 diabetes in approximately 90% of cases. While that is wonderful news for millions of people, rolling back type 2 diabetes requires major lifestyle changes that are difficult for most at any age. In addition to reducing sugar consumption, most people need to become more physically active. Again, in many instances and especially in older adults, you should consult your health provider for advice regarding an exercise program. For many, perhaps most, persons with type 2 diabetes, it is possible to control and even reverse the condition without medication or administration of insulin. “If we have too much sugar in the body, then get rid of it. Don’t simply use medications to hide it away so we can’t see it. There are really only two ways to get rid of the excessive sugar in the body. 1. Don’t put sugar in. As a caution, I would add that everyone should have their blood glucose levels tested periodically. If a diabetic or prediabetic condition is indicated, further investigation is needed to determine the cause. Traveling with diabetes can also be challenging. For some important tips to help, check out Do You or Your Travel Partner Suffer From Diabetes? In some cases and depending on the type of diabetes, medication or administration of insulin is required. But in the case of type 2 diabetes, we might be able to get everything back to normal with weight loss and lifestyle changes. Times’s up! Let’s try it! These and other important statistics are available in the CDC’s National Diabetes Statistics Report, 2017 (PDF). Newer PostCould You Have Lyme Disease?